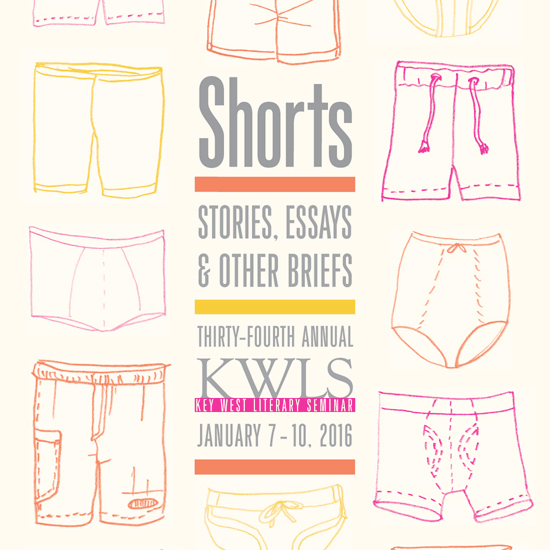 Coverage of the 2016 Seminar: "Shorts: Stories, Essays, and Other Briefs"
Presenters: Hilton Als, Molly Antopol, Ann Beattie, Billy Collins, Junot Díaz, Gish Jen, Victor LaValle, Yiyun Li, Kelly Link, Harry Mathews, Thomas McGuane, Daniel Menaker, Antonya Nelson, Claudia Rankine, Ron Rash, Karen Russell, Jim Shepard, Brad Watson, Joy Williams, and Kevin Young. Writers’ Workshop Faculty: Diana Abu-Jaber, Ann Beattie, Billy Collins, Kristen-Paige Madonia, Daniel Menaker, Campbell McGrath, Antonya Nelson, Susan Shreve, and Kevin Young. 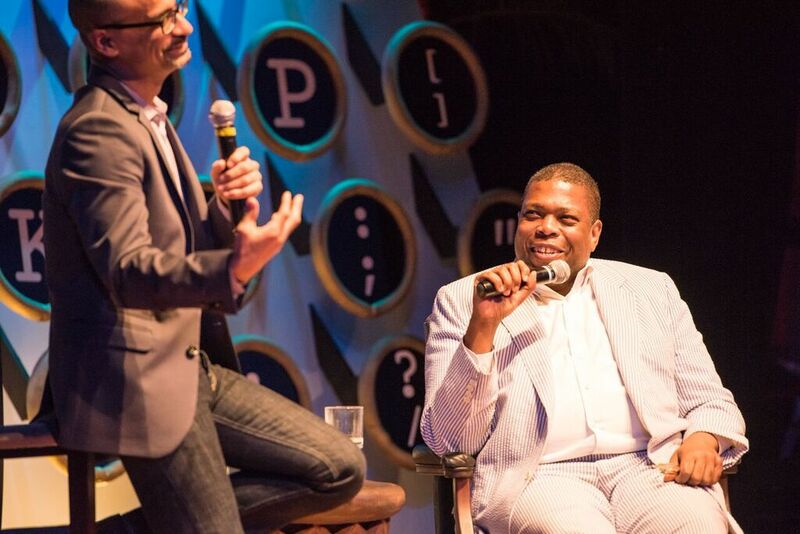 Hilton Als inherited a love of language from his mother, who was also his first reader. As a young writer, he left drafts for her in the kitchen late at night. By morning, she would leave comments. Photo by Nick Doll. Stage design by Cayman Smith-Martin. Photo by Nick Doll. 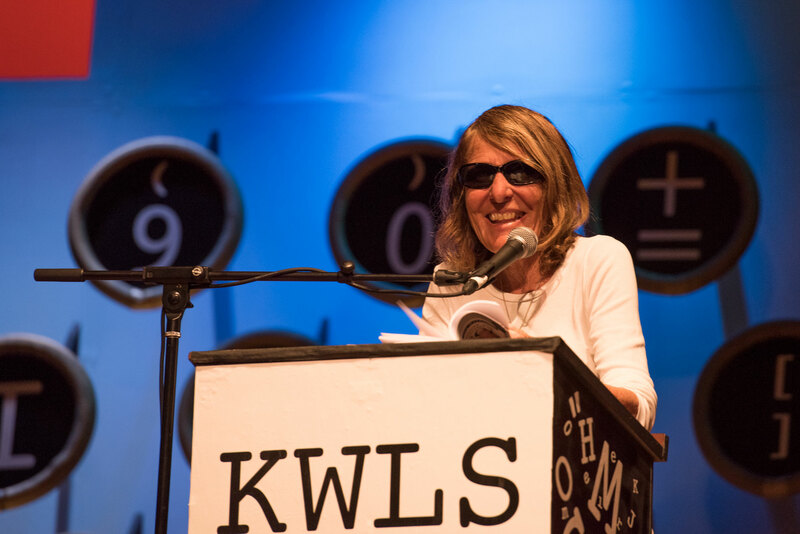 Arlo Haskell celebrates his inaugural year as Executive Director of the KWLS. Photo by Nick Doll. Hilton Als signs one of his books for an attendee. Photo by Nick Doll. "Art, Culture, and Self" with Gish Jen. Photo by Nick Doll. "The Long and Short of Short Fiction". Ann Beattie in profile with Daniel Menaker. Photo by Nick Doll. "Citizen: An American Lyric", a reading by Claudia Rankine. Photo by Nick Doll. 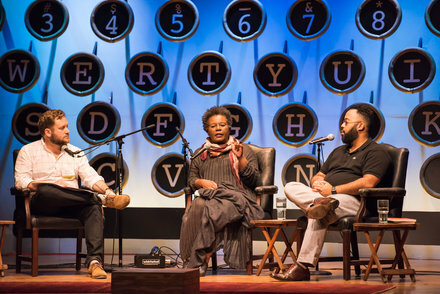 "Art from Art from Life: Poetry & Its Sources" with Claudia Rankine and Kevin Young in conversation, moderated by P. Scott Cunningham. Photo by Nick Doll. Jim Shepard and Molly Antopol during “The Uses of History”. Photo by Nick Doll. “Write What You Know (and a Lot of What You Know Is Literature)”, a talk by Antonya Nelson. Photo by Nick Doll. “A Story is Devious” with Joy Williams, Karen Russell, and Thomas McGuane in conversation, moderated by Joshua Bodwell. Photo by Nick Doll. A short story reading by Ron Rash. Photo by Nick Doll. Jono Helmerich and Matthew Helmerich, patrons of the KWLS. Photo by Nick Doll. “A Short Story is a Love Affair” with Antonya Nelson, Ron Rash, and Brad Watson in conversation, moderated by Cynthia Crossen. Photos by Nick Doll. 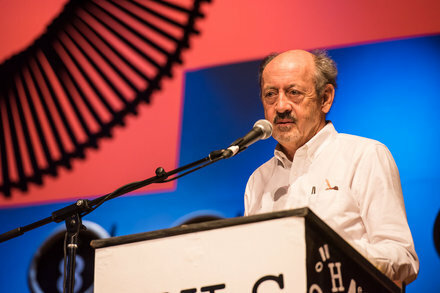 “Visible Games: Poetry in the Aftermath of Rhyme and Meter” with former Poet Laureate Billy Collins. Photo by Nick Doll. Yiyun Li and Victor LaValle during “Immune to Folly: Character & Self”. Photo by Nick Doll. 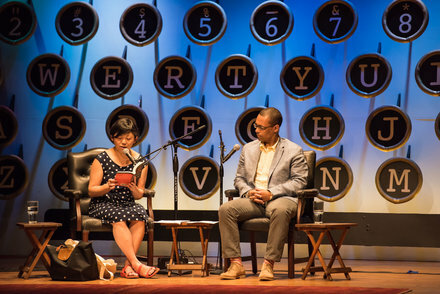 Yiyun Li and Victor LaValle. Photo by Nick Doll. “The Wellsprings of Weirdness” with Karen Russell and Jim Shepard in conversation, moderated by Cynthia Crossen. Photo by Nick Doll. KWLS Technical Director Ian Rowan and Dan Simpson of Private Ear Recording Studio. Photo by Nick Doll. “Writing Key West: Panama and 92 in the Shade”: Thomas McGuane Q+A with KWLS Executive Director Arlo Haskell. Photo by Nick Doll. Junot Díaz & Gish Jen during “Telling it Like it Is”. Photo by Nick Doll. Craft cocktail service provided by Aimee McNally, Nic Talbot-Richards, Jason Rowan of Embury Cocktails, and Daniel Shoemaker of Teardrop Lounge and The Commissary in Portland, Oregon. Photo by Nick Doll. 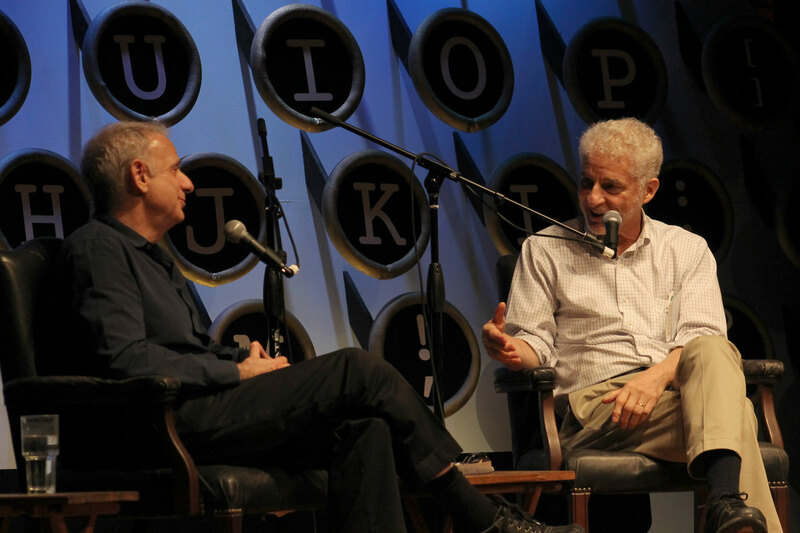 Daniel Menaker in conversation with James Gleick during “The Inside Story: Fiction at The New Yorker”. Photo by Nick Doll. “I tell you a mystery”, a reading of new work by Joy Williams. Photo by Nick Doll. A reading by the winners of the 2016 Emerging Writer Awards: Jordan Jacks, Vincent Scarpa and Rob Stephens. Photos by Nick Doll. (L-R) KWLS board member Nancy Klingener, Mark Hedden, and Nick Vagnoni. Photo by Nick Doll. “Last Lines” with Molly Antopol, Victor LaValle and Karen Russell in conversation, moderated by Joshua Bodwell. Photos by Nick Doll.